What is Final Expense Insurance & Why Do You Need It? Final Expense Insurance – Learn How It Helps You Financially! It is difficult in today’s world to watch television without coming across an advertisement for final expenditure insurance. Generally, the commercials are disguised to pose the question of whether or now you will be a financial burden to your loved ones after you pass. And while this is a valid consideration, there tends to be a limitation to the data presented to the viewer, raising more questions than answers. Is Final Expense Insurance Beneficial? Do my loved ones receive any money from a final expense plan? Typical Life insurance or Final Expense? Potential buyers should note that this policy is typically secondary to the primary insurance and governmental benefits received. Additionally, the funds from the final expense life insurance may be held in escrow should there be outstanding debts until a resolution of the debt is met. According to Parting.com, the average funeral costs a minimum of $6,000. Yet, as the site points out, this official estimate is dated and costs have increased. Today, an approximate estimate would be around $9,000 minimum. Comparatively, the average household income per year is about $51,100, says the Bureau of Labor Statistics. This does not include the expenses for daily living, which is estimated to be 98% of the income, leaving the poorest of Americans with only a dollar a day. Keeping this in mind, you will see that any assistance to the final expenses would be beneficial. There are four different types of final expense insurance to consider. These are guaranteed issue, medically underwritten policy, preneed funeral insurance, and final expense benefit. The guaranteed issue are policies which cannot be turned down or denied regardless of health or pre-existing conditions. They have generally priced higher than the other options. Medically underwritten policies are based on the health, lifestyle and pre-existing conditions and are written by the medical examiner for the insurance company. Preneed is purchased from the funeral home of choice to conduct the funeral. While these types can be classified as final expense life insurance, they are really just categorized coverage options. As you can see, the medical only covers medical and the preneed funeral only covers the funeral costs. 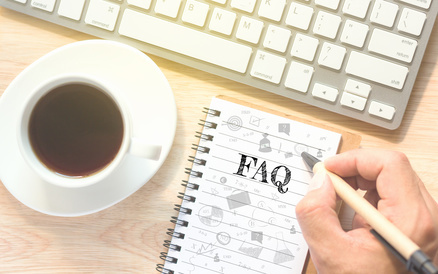 The actual final expense policy differs in that (a) it can only be purchased from an insurance provider (b) that is can expand to cover costs of both the funeral and any additional existing debt and (c) is lower costs than the other examples. No. These plans are designed specifically to help settle the cost of the funeral. Yes, there are policies which can help to alleviate any existing debt and medical bills, but these funds are paid directly to the party to which the money is owned. Excess funds (if such exist) are not given to the family members. This is why most policies say that the payment is up to a certain amount and not a definitive amount. The best way to think of the payout is compared to that of auto insurance or other deductible insurance policies. For example, if you have automotive collision insurance and need repairs, you pay the deductible and the insurance covers the cost of the rest of the repair. The same is true in the final expense insurance. What is not covered by your primary insurance and government benefits, your policy attempts to cover. It is a good idea to have both. 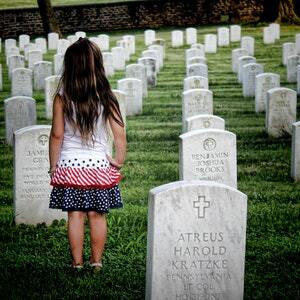 Life insurance will help with the month to month costs (depending upon the policy payout) while the final expense coverage will help with the immediate costs of the funeral and burial costs. Final expense insurance tends to cover anywhere from $25k to $40k. if compared to the cost of a funeral this is adequate for the basic burial. However, if medical bills are added to the equation, you may find that having both greatly decreases the final costs passed on. Final expense insurance is extremely beneficial to those who have low income, those who have been denied insurance based upon medical conditions, or those who wish to have extra coverage to ensure that their final funeral costs, medical bills, and such related to their last expenses are covered. Generally, final expense insurance is oriented to senior citizens, and the rates for the plan may fluctuate depending upon the age of the person purchasing the plan, but most insurance companies will offer this policy alongside available life insurance policies. Check with your insurance company for more details.